Do you plan to buy property in Cambodia? Cambodia will be a prime destination for property buyers in the coming decade. Having one of the fastest growing economies in the world, early investors with some risk appetite can gain great yields. It’s also the last frontier country in Southeast Asia and that welcomes foreign investors with open arms. Not surprisingly, individuals and corporations pour in to take a slice of this growing market. However, before you engage in Cambodia’s property market, it’s important that you learn about ownership regulations, what kind of property you should buy, where to buy, and more. Can foreigners buy property in Cambodia? 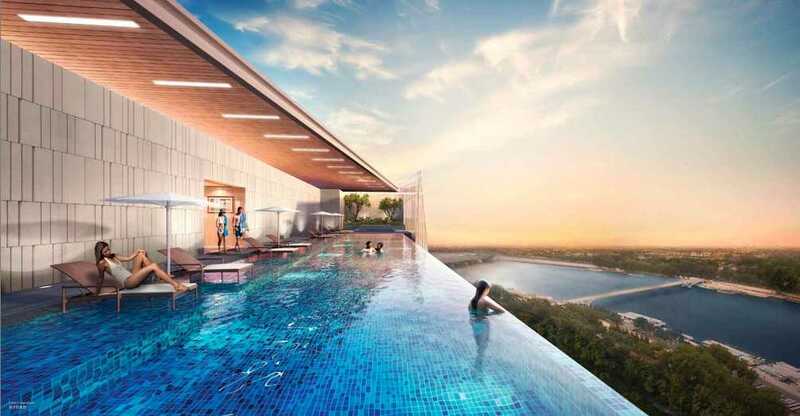 This week, we have a look at a high-end mixed use project, The Peak, located in Phnom Penh, Cambodia. The project is planned to be completed in 2020 and Huttons Asia has helped us to write this sponsored article, where they share more information about the development. 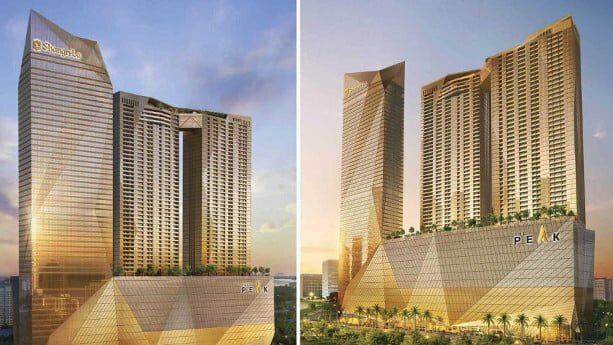 The Peak is a freehold property and integrated with Shangri-La’s 5 Stars Hotel & CapitaLand Mall, located right in the heart of Phnom Penh. Within 200 meters, you’ll reach the famous Nagaworld 5-Stars Hotel & Casino (the only Casino in Phnom Penh). Within 350 meters, you’ll be able to reach the upcoming World’s tallest twin tower, set to overtake Kuala Lumpur’s Petronas Twin Towers. And The Peak will be the closest residential tower, right next to this upcoming World’s tallest twin tower! The project is built by Oxley Holdings Singapore, which successfully launched The Bridge in Phnom Penh and is completely sold out. If you’re interested in The Peak, you can contact Mr. CS Tee at Huttons Asia with the following contact information. Do you plan to buy property in Asia? A commonly asked question among property buyers is where they can find the cheapest properties. One should bear in mind though that it’s not easy, nor very important, to discuss property prices on national levels. It’s better to focus on a handful of cities, or the capitals, places where a big part of investors tend to go. 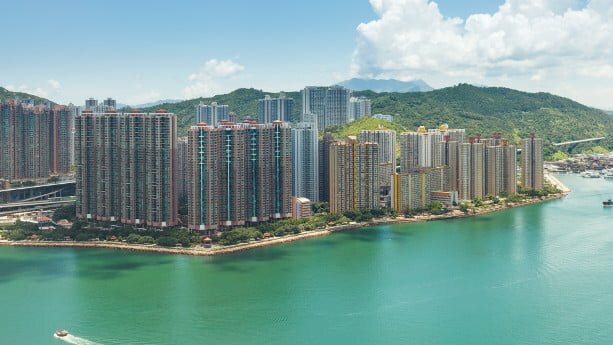 In this article, I list the countries with the cheapest land, houses, and apartments in Southeast Asia/Asia. Before we deep dive into, I want to mention that I haven’t taken countries such as Mongolia, North Korea, Brunei and Sri Lanka into consideration. Many foreign residential property buyers decide to go for off-plan properties when investing in Cambodia. There are also a number of foreign companies who actively work to improve the infrastructure and develop new properties. Either way, a property developer is normally involved and many people wonder which the biggest and most reputable developers in Cambodia are. It’s not strange that people perform due diligence in this emerging market, where there’s many pitfalls to come across. Therefore, I’ve written this article where I list some of the biggest and most well-known developers in Cambodia. Borey Peng Huoth Group is one of the leading and biggest property developers in Cambodia. Founded in 2005, it soon becomes the prominent property developer in the country due to its large scale residential projects. Borey Peng Huoth Construction, Borey Peng Huoth Property Development, and Borey Peng Huoth Shopping Mall. They’ve sold around 10,000 houses by 2017. The CEO of the group is Mr. Oknha Thay Mengly. Siem reap is the gateway to one of the most visited temples in the world, Angkor Wat. The tourism industry thrives, naturally, this affects the real estate market positively. Siem Reap is also famous for having more villas and land available compared to the capital, Phnom Penh. Prices are lower on average as well. 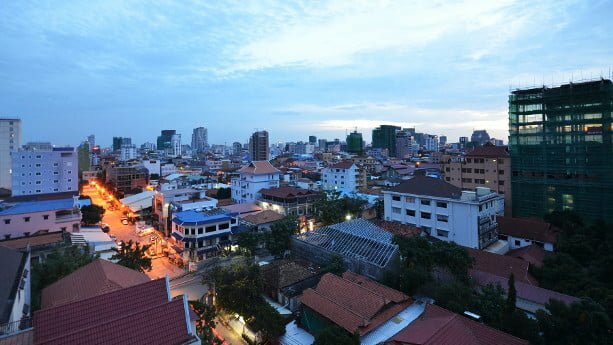 The number of real estate agencies is slightly higher than Sihanoukville, most of the multinational companies have decided to set up head offices in Phnom Penh, but still cater foreigners who wish to buy properties in Siem Reap. In this article I list some of the biggest and most popular real estate agencies in Siem Reap. The real estate agencies are listed in a random order. David Murphy founded IPS in 2009 and serves as the company’s managing director. The management consists of mostly Australians, but there’s a mixture of both foreigners and local nationals in the company. David has a long history in real estate and previously managed a hotel for several years. The company focus much on expats and foreigners and have staff capable of speaking English, French and more. Unfortunately, they don’t have any local branch in Sihanoukville, but cater foreigners from their offices in Phnom Penh and Siem Reap. 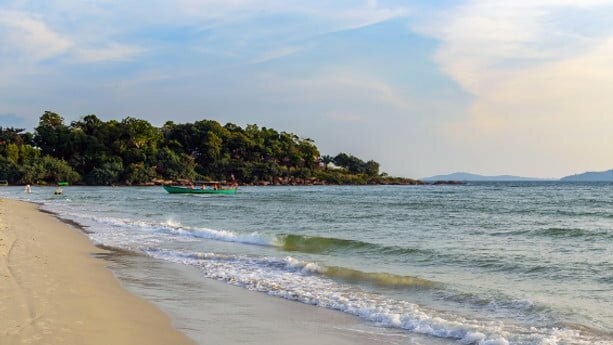 Sihanoukville becomes increasingly more popular among foreigners and has seen big increases in property prices over the years. If you look for real estate agents, you won’t find as many options as in Phnom Penh. Still, many of the agents in Phnom Penh can help you to find properties in Sihanoukville. In this article, I list some of the most popular real estate agencies who help locals and foreigners to buy properties in Sihanoukville. The real estate agencies are listed in a random order. Some of the below listed real estate agencies have their head offices in Phnom Penh, but help foreigners to buy property in Sihanoukville. CBRE is one of the largest real estate agencies in the world and was originally founded in the United States. The company has tens of thousands of employees worldwide, naturally, they have also set up an office in a growing market like Cambodia’s. Unfortunately, CBRE doesn’t have any remote office in Sihanoukville, as the head office is located in Phnom Penh, opened in 2007. But they help foreigners with a number of property services in the city. 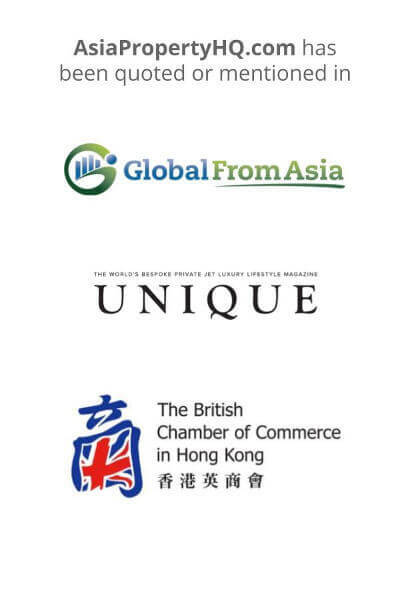 CBRE has a number of reputable clients in the country, for example, the Embassy of Korea, PWC, KLM and Nokia. 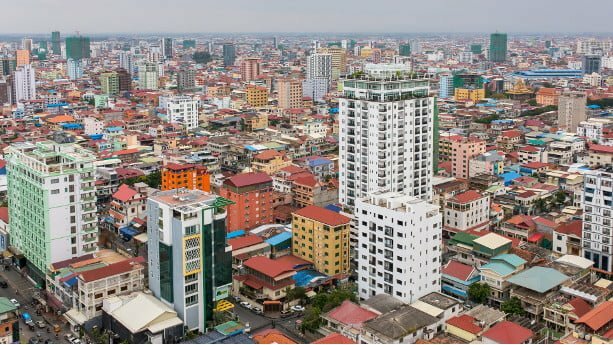 Cambodia’s economy is growing fast and even if the property market has been hot for more than a decade, many investors believe there’s more to come. But finding a credible real estate agency and a solicitor is crucial, in fact, the country is still undeveloped and there many pitfalls you can come across. Fortunately, you can find a number of reputable agencies with long on-the ground experience. That’s why I’ve written this article, to save you some time. Let’s have a look at some of the biggest and most popular real estate agencies in Cambodia. The agencies are listed in a random order. IPS is an Australian owned real estate agency in Cambodia, it’s famous for being one of the most credible and biggest agencies. David Murphy, originally from Australia, founded the company in 2009 and is currently the managing director. He’s previously owned a hotel for years, is a licensed Cambodian Valuer and has a long experience in real estate, infrastructure development, facilities management and more. Worth mentioning is that the company has a good mixture of both Cambodian nationals and foreigners, ready to serve their clients in French, English and other languages. Siem Reap is the gateway to one of the most visited ancient temples in the world, Angkor Vat. Following the increased amount of tourists visiting Siem Reap, both locals and foreigners want to grab a share of the real estate market. Not only will you find opportunities to buy residential property, it’s getting increasingly popular to buy hotels and restaurants as well. In this article, I explain the basics you need to know if you plan to buy property in Siem Reap. Compared to its rival Sihanoukville that gets income from other industries than tourism, like manufacturing and fisheries, Siem Reap’s economy relies heavily on tourism. In fact, it’s said that 50% of the Cambodians who live in Siem Reap work in tourism. The tourism has increased massively in Cambodia the past years and more than 5 million people visit the country yearly. Siem Reap receive more than 2 million tourists each year, making a great contribution. I think we can agree that these numbers speak for themselves. As one of the most visited cities in the world, especially from countries like China, Korea and Vietnam, tourism grow by 10% on average annually. Sihanoukville has grown rapidly the past years and now attracts a big amount of investors and tourists. 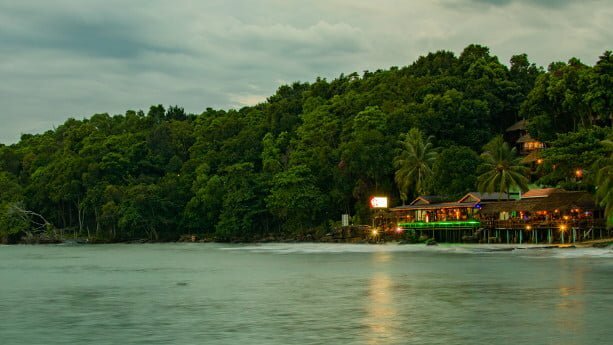 Previously a sleepy tourist destination that was infamously known for attracting Western foreigners who were partying a bit too hard, it’s now attracting casino visitors, people enjoying its beach resorts, investors and more. Not to neglect, except for tourism, it’s also a engaged in a number of other industries like textile, manufacturing and agriculture. In this article, I explain the opportunities to buy land in Sihanoukville. Much investment pours in to build condos, casinos and other property that will help to cater more visitors, mainly from China but also locals. Yes, the Chinese are taking over the property market in Sihanoukville. Previously, Western companies made up 75% of all investments in Sihanoukville. Nowadays, an almost equally big share of investment is covered by the Chinese – alone. Locals are even afraid that the Chinese will take over the real estate market completely, making Sihanoukville into a “Chinatown”. Is Sihanoukville’s property market in a bubble? Cambodia is growing fast economically and has attracted many foreign corporations in the past years. With an influx of many Chinese buyers and expats (that needs housing), prices have increased much. Cambodia provides great yields and experienced early investors have managed to earn decent money through property investments. In this article I explain the basics when buying a condo in Phnom Penh. 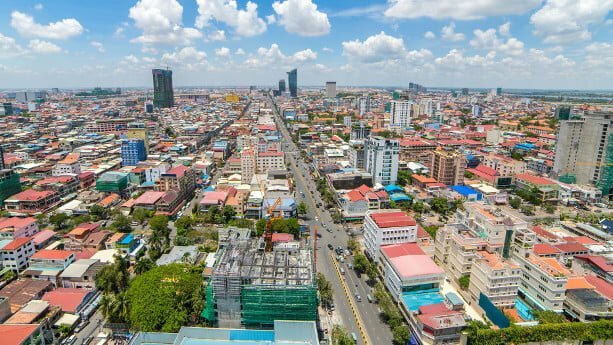 Property prices have increased fast in Phnom Penh the past years. So fast, so that the local economy has difficulties to catch up. It’s a similar scenario as we see with Bitcoin, very volatile, but continuously climbing higher.